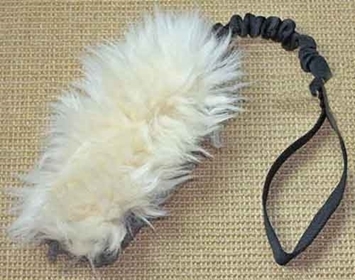 Even reluctant tuggers love this exciting real sheepskin toy, and scent stimulated dogs go wild. Soft, strong nylon webbing forms a comfortable handle and core that runs through the entire toy for increased durability. This motivating tug ends with fluffy fringe for even more fun and sight stimulation! 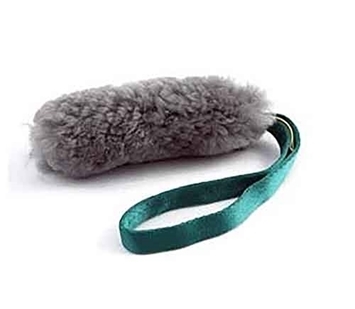 This toy can fit in your pocket even though the small one is 24" long with approximately 6" of sheepskin sewn onto 5/8" nylon webbing and the large one is 24" long with approximately 9" of sheepskin sewn onto 1" nylon webbing. 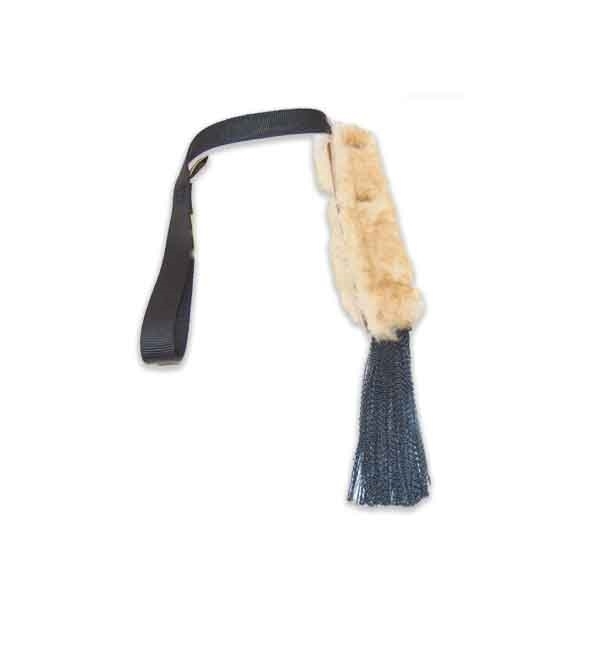 Black nylon handle with assorted color sheepskin, please let us choose a color for you.